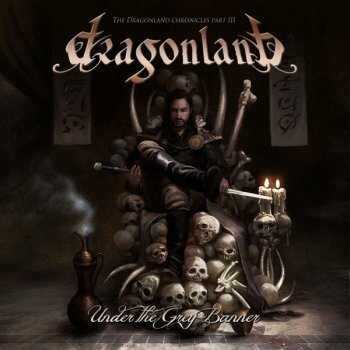 DRAGONLAND - UNDER THE GREY BANNER (CD) | Online Shop | Wizard LTD. Album: "UNDER THE GREY BANNER (CD)"
After five years of silence “Under The Grey Banner” marks the glorious return of one of Sweden’s finest Metal bands. DRAGONLAND - the band centering masterminds Olof Morck (Nightrage, Amaranthe) and Elias Holmlid – have written another chapter and continue the famous chronicles about the fantasy realm “Dragonland”, which was brought to life with the first two albums of the band - "The Battle Of The Ivory Plains" (2001) and "Holy War" (2002).